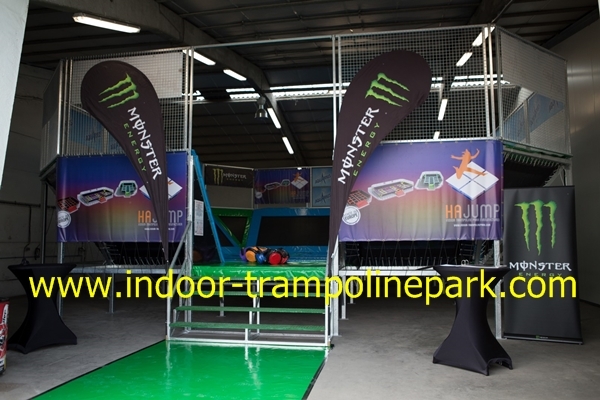 Hajump manufactures since 14 years all type of trampolines for indoor and outdoor parks. Our trampolines found place in Belgium Holland, Italy, Germany, France, Bulgaria, Kuwait, Jeddah...our Hajump trampolines are well-known worldwide! Fun, sports and leisure: a Hajump trampoline is the best you will find on the market. From day 1 our brand is named Hajump and till today we still manufacture under this name. All steel, frames, jump beds, padding and springs are EU manufacture. We manufacture all in or own factory of Hadek bvba in Wevelgem, Belgium. 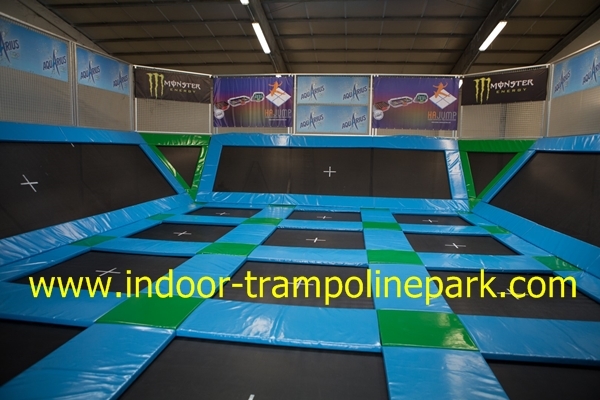 The indoor and outdoor trampoline park constructions are so popular that we need to expand our business to be able to deliver on time for all the demands we receive. We have the knowhow to manufacture all kind of trampolines, this new style with wall trampolines is a extra for our manufacture but perfectly integrated onto our base trampoline constructions. Our designers give the best of themselves for all kind of new types and models. Only after durability and strength test we provide our TUV certificate and Apave label, M2 pvc fabric certificate as well. Hajump trampolines is a European manufacturer, we do not work with products from Asia. Compare our frame with other manufactured frames and see that ours is really very strong. With us you have the perfect partner for your indoor trampoline park.